Featuring down-like cluster puff fibre fill with a 100% cotton cover, this mattress topper provides exceptional comfort & support. Perfect for those with allergies! 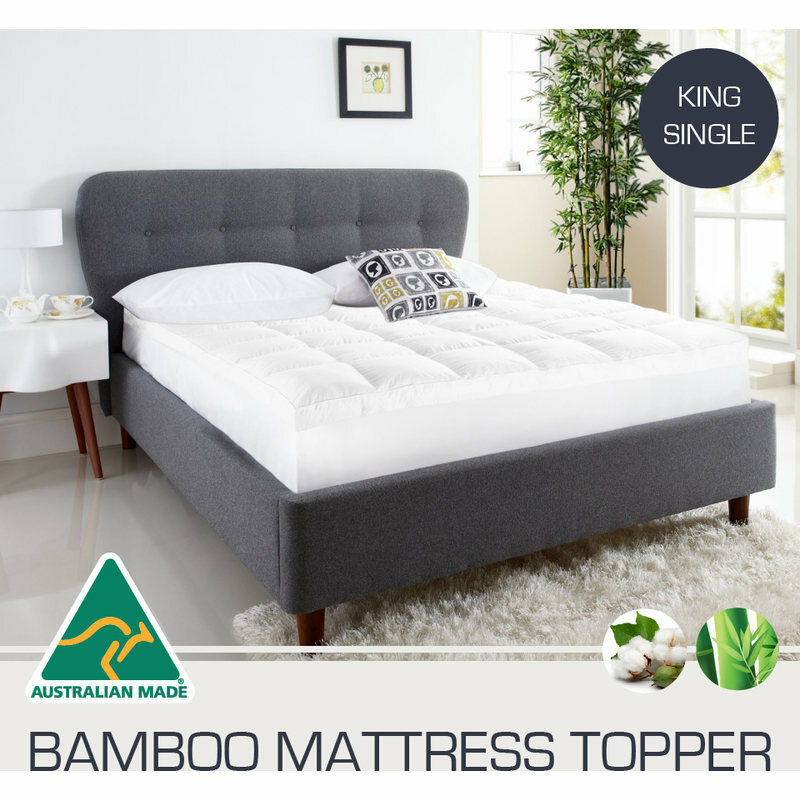 The ideal topper for your king single mattress! With a combination of bamboo fabric and microfibre filling, this mattress topper offers ultimate comfort. Its fully-fitted stretch skirt is designed for a snug, reliable fit fot all mattress types up to 4cm thick. It's also HealthGuard treated to be anti-microbial and dust-mite resistant to suit those with allergies. It features down-like cluster puff fibre fill for extra comfort and support. Note: Includes Mattress Topper only. Perfect choice. Making a firm mattress comfortable for ageing shoulders and hips. Very satisfied with the mattress topper it is used by an 81 year old who broke her back a few years ago and was having trouble sleeping now sleeps very well has made the world of difference to her life.